Donated food does a lot of good. Utah Food Bank receives donations from hundreds of food and fund drives throughout the year. There are, however, four major annual statewide food drives that help keep the shelves stocked. If you have any questions regarding how to get involved in food drives please contact Julie Adams-Chatterley at (801) 887-1266 or fooddrive@utahfoodbank.org. The annual Scouting for Food effort replenishes food reserves at Utah Food Bank and our partner agencies as holiday donations have become depleted heading into the spring. This food drive is powered by approximately 180,000 Cub Scouts and Boy Scouts from all three Utah scout councils (Utah National Parks, Trapper Trails, and Great Salt Lake Councils), along with the Utah National Guard and Search and Rescue offering logistical support. During the week leading up to the food drive, Cub Scouts deliver reminder door hangers or bags to every house in Utah. Residents are encouraged to fill any bag or box with nutritious food items and place it outside their front door no later than 9 am on the day of the food drive. The filled bags are then delivered to Utah Food Bank, local emergency food pantries, and other designated drop-off points. YRC Freight, XTRA Lease, North American Trailer, C.R. England, Pride Transport and the Utah National Guard all help transport donations from drop-off points to our emergency food assistance network. Letter carriers and hunger have one thing in common: neither is impacted by the season. On the second Saturday in May, the two merge as letter carriers collect food during the annual Stamp Out Hunger Food Drive. This national food drive is sponsored by the National Association of Letter Carriers and other community partners, and is one of the largest single-day food drives, both locally and nationally. Utah Food Bank asks the public to help by placing a bag of non-perishable food near their mailbox for pickup by their local letter carrier by 9 am on the morning of the food drive for pickup by their local letter carriers. Donated food will be distributed to Utah Food Bank, regional food banks and local food pantries throughout the state. Summer is a time for vacations, poolside relaxation and feeling a bit more carefree than during the rest of the year. But for many individuals and families, this time of the year is the most difficult. With many children out of school without access to school lunch and breakfast programs, more families make emergency food requests to help stretch their budgets. Unfortunately, food donations traditionally decrease during these months. The annual Summer Business Food & Fund Drive encourages businesses and community groups of all shapes and sizes to host their own food and fund drives during this critical time of need. 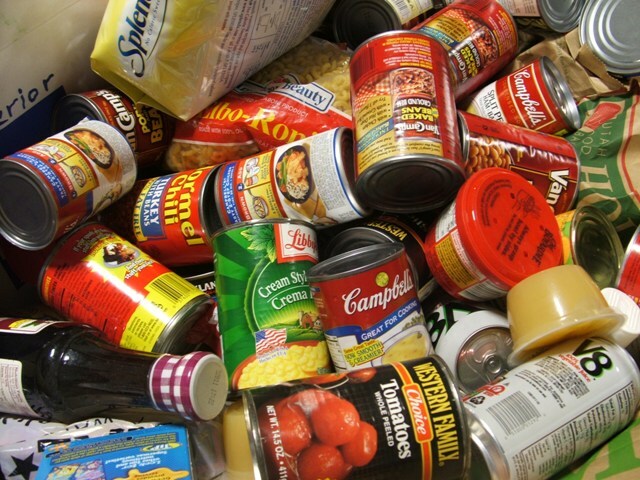 Food Drives may be conducted traditionally with a collection barrel or online with our Virtual Food Drive. Utah Food Bank’s annual Holiday Food & Fund Drive helps stock the shelves of Utah Food Bank and emergency food pantries statewide through the holidays and into the spring months. On average, over 500 community groups and businesses across the state register food and fund drives during this busy time. There are so many locations to donate throughout the holidays, and so many ways to get involved, that it’s hard to not get wrapped up in this season of generosity!